Examples, solutions, videos, worksheets, solutions, and activities to help Algebra II students learn about arithmetic sequences. 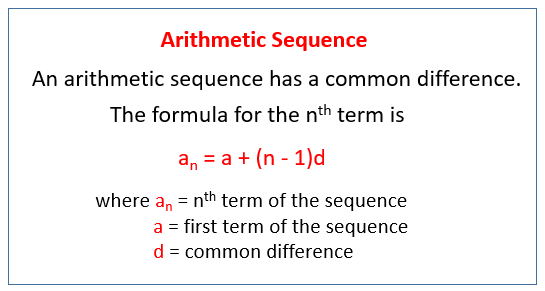 In mathematical terms, what is a sequence, and what does the adjective arithmetic mean here? How to recognize arithmetic sequences from other sequences that display patterns.